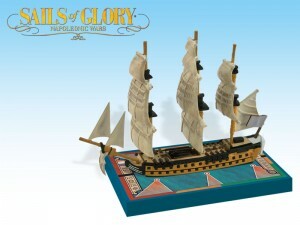 Home » News » Announcements » Sails of Glory debuts on Kickstarter! Sails of Glory debuts on Kickstarter! Sails of Glory, the upcoming tactical Age of Sail game branded Ares Games, is now on Kickstarter. Inspired by the acclaimed Wings of Glory system, Sails of Glory features assembled and painted ship models, ready to play out of the box, and a game system designed to accurately represent battles at sea between the large sailing ships of the past centuries. Created by Andrea Angiolino and Andrea Mainini, Sails of Glory merges miniatures, cards and board game mechanics, using the same intuitive system of the Wings of Glory series of aerial combat games. Special decks of maneuver cards are used to represent the different movement capabilities of the models, creating a realistic gameplay with easy to use mechanics. Sails of Glory: assembled and painted ship models, and a game system designed to represent battles at sea in the Age of Sails.. The first series of Sails of Glory is set in the Napoleonic Age, an iconic period for naval wargaming. The initial release, scheduled for August 2013, will include a Starter Set - an all-in-one starting point to begin playing, including four fully painted and assembled ships - and 12 additional Ship Packs. Four of these Ship Packs will be exclusively available for backers on Kickstarter: the French frigate La Concorde, the French ship-of-the-line Fougueux, the British frigate HMS Juno, and the British ship-of-the-line HMS Bellerophon. “We are working on the Sails of Glory project since 2011 and the pre-production is 95% complete on this initial release. Launching the game on Kickstarter will help us to get the line growing at full speed. We will use the funding to ‘open the shipyard’ of many new releases we are preparing”, said Christoph Cianci, CEO of Ares Games. 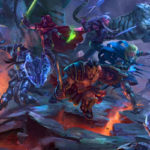 “We also see Kickstarter as a great way to connect with the people interested in the game and have their feedback to develop the line”. After the initial funding of US$ 30,000, several stretch goals for Sails of Glory Kickstarter are already set: US$ 50,000, to fully fund the "shipyard" to create the HMS Victory; US$ 75,000 to fund the creation of the USS Constitution; and US$ 100,000 to fund the design and production of the Sails of Glory Game Mat. Further stretch goals will be unlocked as the project goes on. Visit the Sails of Glory Kickstarter page for more information or to pledge!